Some raviolis are filled with meat. Others with cheese. 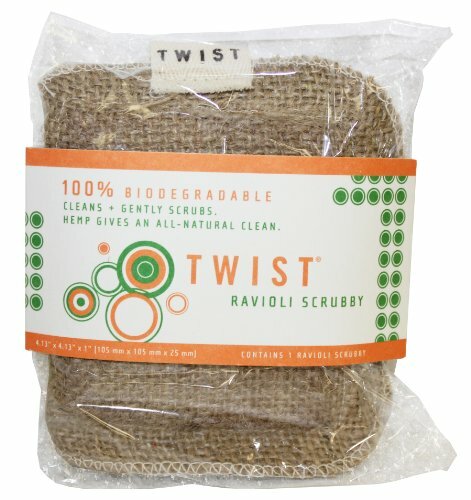 Our Twist Ravioli Scrubbies are full of clean. If you want to get technical, they're actually a pastry of hemp burlap, stuffed full of biodegradable sponge. And they're shaped like a jumbo ravioli. Perfect for baked-on food like, well, ravioli. Sorry. We couldn't resist the perfect symmetry of this design story. Dishwasher safe for easy sterilization and prolonged use. If you have any questions about this product by Twist, contact us by completing and submitting the form below. If you are looking for a specif part number, please include it with your message.